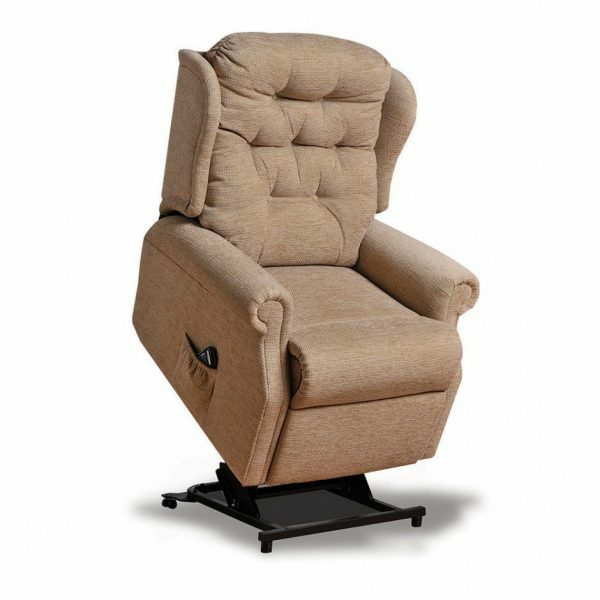 The Woburn petite size recliner offers proportions suitable for users with smaller proportions, a 44.5cm seat width and a high back for superior comfort you have a choice of a single motor or dual motor operation. 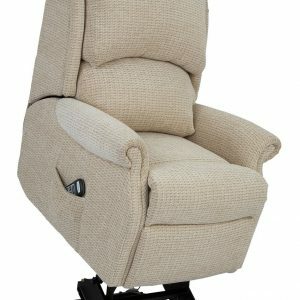 Single motor actions use one electric motor to power the recline and lift mechanism meaning you cannot control the foot and backrest independently. The Dual motor option is the superior preferred choice offering the ability to set the height of your footrest and angle of your backrest to your desired position. A Dual motor handset features 4 operation buttons and a reset whilst a single motor operation features 2 buttons only. The electrical system on the woburn features a backup system incase of a power cut, powered by 2 pp3 batteries this allows for a one time use emergency system. A rechargeable battery option is also available for wireless operation for use where access to a power point is not possible. 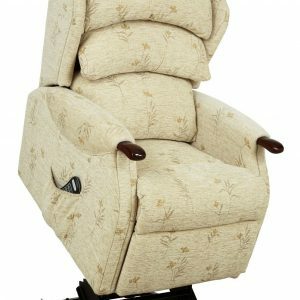 The woburn is available with a larges selection of accessories to increase comfort and protect your new chair. 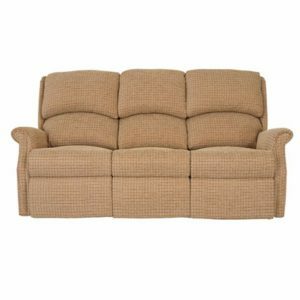 Armcaps, Neck & Lumbar cushions are all available in matching fabrics to give that extra touch of comfort. A 10 motor massage system can be added to your new Woburn with extensive control functions in adjustments in intensity and where the massagers are working, this can also be combined with a heat pad option which can also be purchased separately. 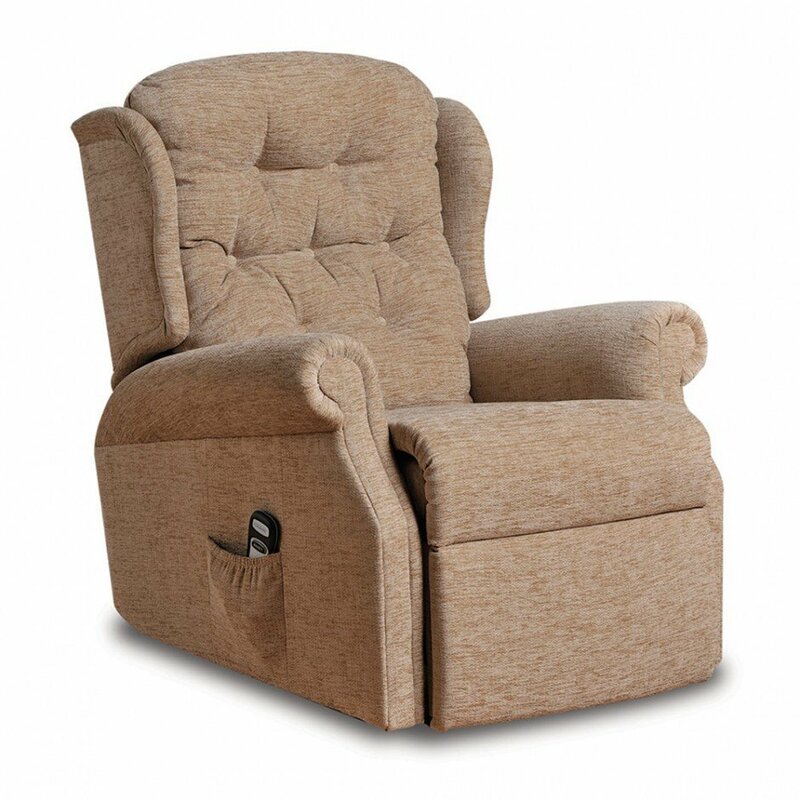 The woburn recliner features a luxurious button back with generous padding, whilst providing support for excellent comfort.